Worldwide Brandy Trophy awarded to Paarl-based wine and spirits producer, making it one of the most awarded Brandy producers in the world. Adding weight to its reputation for producing top-quality potstill brandies rivalling the best in the world, KWV was awarded the Worldwide Trophy and numerous Gold Awards in two separate, influential and global wine and spirits competitions this week. In the first global announcement, KWV’s 15-year-old Potstill Brandy achieved an Outstanding Gold (a score of 93/100 or more) as well as the Worldwide Trophy for Brandy – outscoring all other brandies – at the International Wine and Spirits Competition (IWSC). This competition, which aims to set the international benchmark for quality in wine and spirits, receives entries from nearly 90 countries, with their submissions scrutinized by over 400 global experts. Proving that quality is evidenced throughout its ranks, KWV’s Worldwide Trophy for Brandy is flanked by a handful of Gold Awards for its other potstill brandies, from the same competition. In addition to its global award, KWV was also awarded Gold Awards (a score of 90 to 92.9/100) for the KWV 20-year-old and 12-year-old potstills. KWV also received Gold for its Heritage XO Cognac, made in partnership with French House of Charpentier, from a blend of Cognacs from the Petit Champagne region in France. The quality of KWV’s brandies was also recognised by judges in the International Spirits Competition (ISC) – a separate competition but equally influential – where KWV mirrored its IWSC performance, by also claiming Gold for its Potstill 12-year-old and its 20-year-old. A key differentiator of South African Brandies are the strict laws of production governing Brandy distillers. Legislation dictates that Brandy in South Africa should be matured in 340 ℓ French oak barrels for a minimum of three years – whilst other countries only require 6 months, to 2 years. Explains KWV Master Distiller, Pieter de Bod, “at KWV we take this regimen a step further with our potstill brandies, allowing for decades of maturation – in the instance of the KWV 20-year-old it can include brandies up to 32 years – to allow for the quality and purity that give our double-distilled potstills their internationally competitive edge.” Over the years, KWV has established itself as one of the world’s fiercest competitors at international competitions for spirits. “Last year, KWV’s 15-year-old claimed Best Brandy in the World, at the ISC, after claiming the same title for KWV 20-year-old the year before. Collectively KWV’s Brandies have secured the ISC trophy eight times, and the IWSC trophy ten times – far more than any other producer, making KWV Brandy one of the most awarded Brandy brands in the world,” says De Bod. “The fact that brandies in the KWV collection have all secured various trophies and awards over the years, indicate that our team of distillers have mastered a distinct DNA and a top-secret recipe for success,” concludes De Bod. 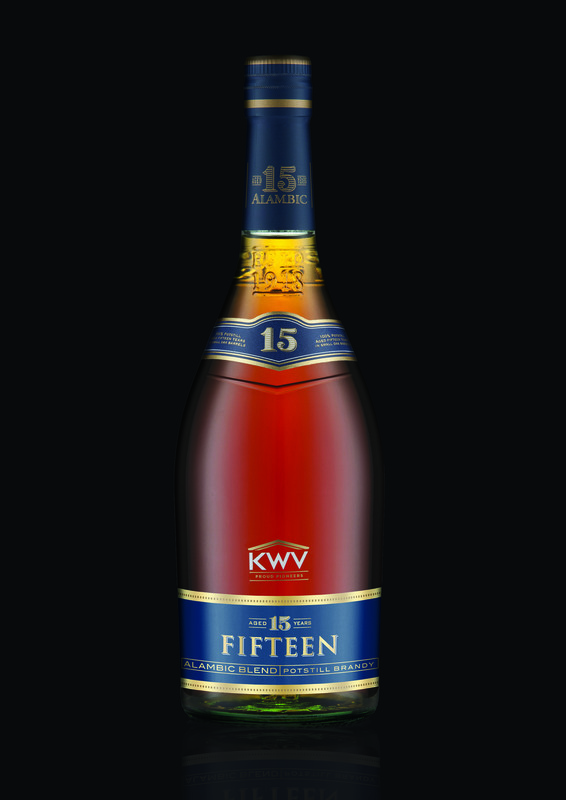 Click here to purchase KWV’s awarded brandies. To hear more about KWV’s 15-Year-Old Brandy, listen to Michael Olivier on Fine Music Radio here.